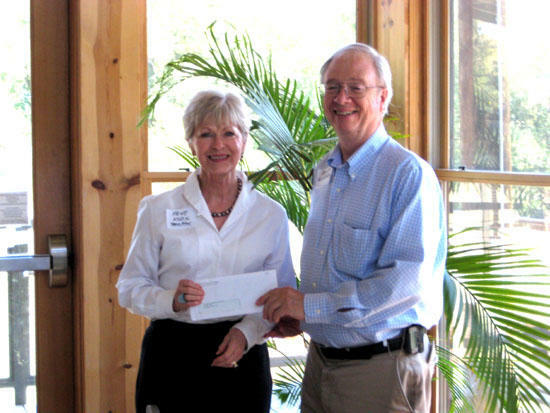 Dr. Chuck Womack, Board President of the TN Parks and Greenways Foundation, hands Faye Knox the check. At the Shelby Bottoms Nature Center, The Stones River Watershed Association (SRWA) was awarded a $2500 grant through the Middle Tennessee State Park Connections to enhance local parks and improve river access. Sponsored by the Tennessee Parks and Greenways Foundation, this grant program helps fund greenway or trail projects. Woodbury Alderperson Faye Northcutt Knox was on hand at the Foundation’s fall Board Meeting to accept the grant on behalf of SRWA and Cannon County. The funding for the 2010 Middle Tennessee State Parks Connection grants was generously provided by Tennessee Gas Pipeline, an El Paso Corporation company committed to community service and environmental stewardship. The Tennessee Parks and Greenways Foundation is a nonprofit foundation dedicated to preserving the beauty of Tennessee. The Foundation’s mission is to preserve Tennessee’s scenic beauty and rich wildlife by creating an interconnected system of parks, greenways, and wild areas from the Mississippi River to the Great Smoky Mountains. “Since September 1997, we have spent considerable energy and time building funds and building a constituency of supporters. 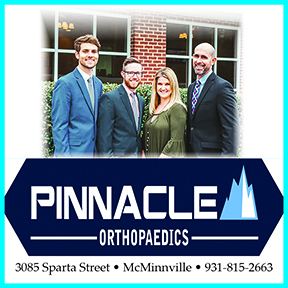 We’ve enrolled over 2,000 individual members,” said Kathleen Williams, President and Executive Director of the Foundation.